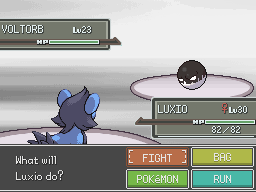 Is there any simple way to make an event that checks a pokemon's held item? I know from the wiki that you can check if a pokemon has a certain move, but I already tried replacing hasMove with hasItem and it didn't work. 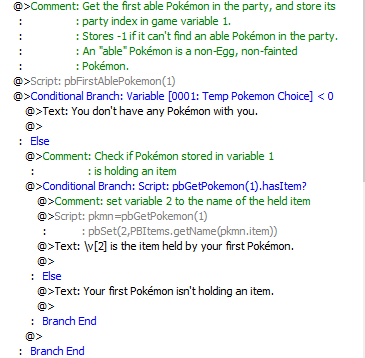 Here's an event that checks the item of the Pokémon in the first slot. I wasn't sure which Pokémon you wanted to check. Then you just need a conditional branch checking if variable 2 (or whatever variable you stored the item in) is equal to the id of the item you want to check.